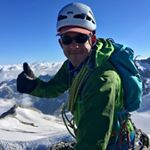 So, you’ve been Canyoning, and now you want more. Bigger jumps, longer slides, higher abseils and enough adrenaline to last you a life time. 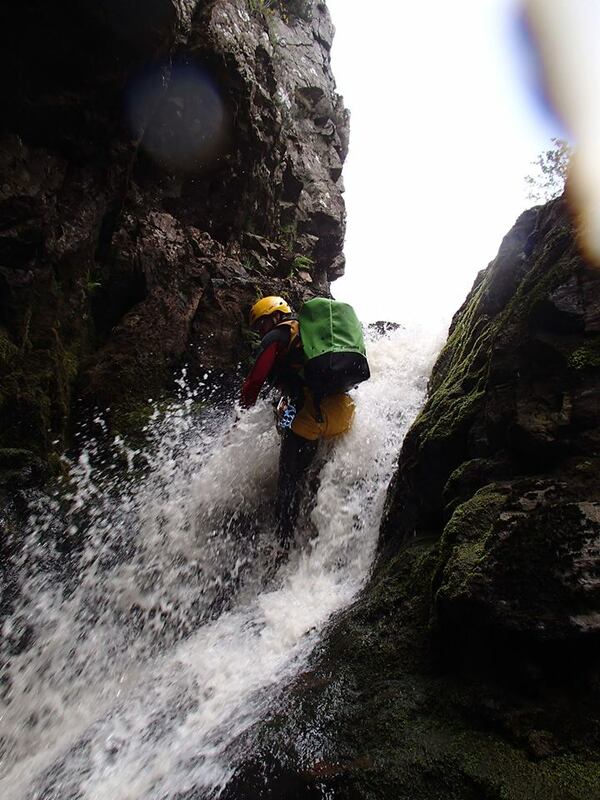 Well look no further as this is the most extreme canyoning adventure in Snowdonia! 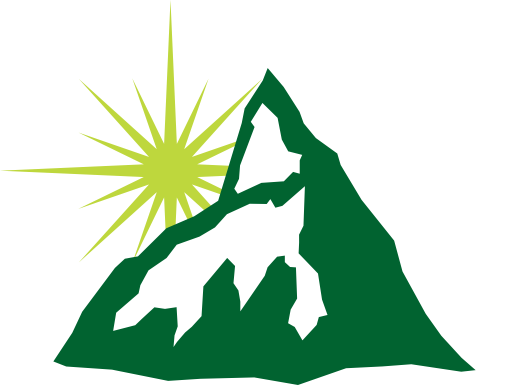 Seren Ventures is a fully affiliated UK Canyon Guide Centre. 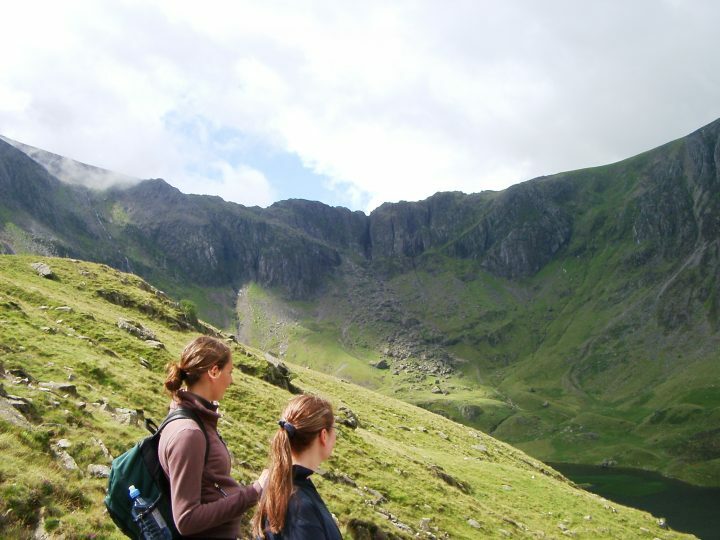 All our staff are trained as Canyon Guides and Instructors with UK Canyon Guide qualifications. We’ll turn up the adrenaline level and teach you a few things along the way leaving you wanting more. 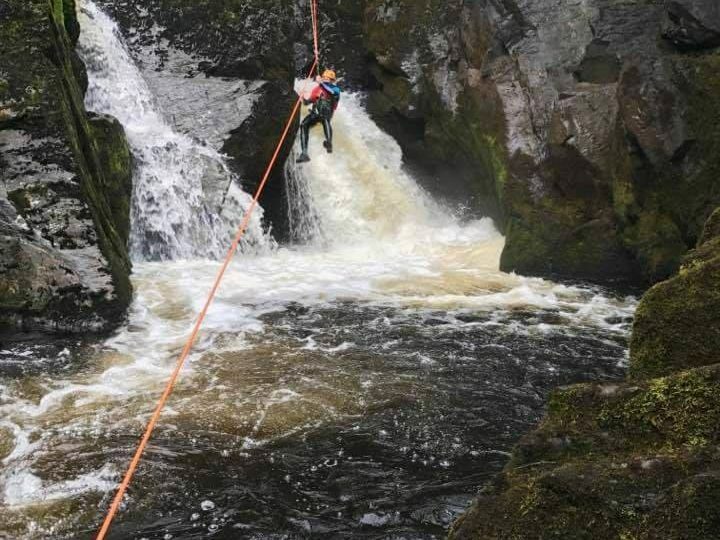 We’re deep in the heart of Snowdonia with our base in Betws-y-Coed meaning it’s only a short drive to all of our canyoning venues. 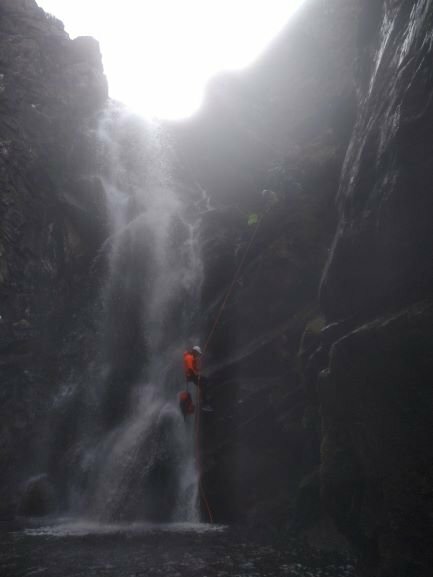 We give discounts to co-operative groups and Stag and Hen parties, so wait no longer, book your day of extreme canyoning in Snowdonia and start your adventures with Seren Ventures! We will provide wetsuits, harnesses, buoyancy aids and helmets. If you have your own wetsuit you are welcome to bring that along. You will need a pair of walking boots or grippy training shoes or well fitted wellies, which will obviously get wet. These need to have a good rugged grip. Do not wear Astroturf dimpled style trainers which are unsuitable and dangerous. Flat plimsoll style soles are also unsuitable. You will need to wear a swimsuit under your wetsuit. In addition you should wear a base layer t-shirt such as a Helly Hansen top or similar, but not a cotton t-shirt. In Spring and Autumn as days are cooler, we also recommend wearing a fleece top. We will provide a spray top to go over this. No Jewelry, watches or cotton t-shirts!  You will change out our base at the adventure centre but after the gorge we will get changed at the end of the gorge, which is a basic car park. You can of course come back to the adventure centre but this means driving back in your car in a wet wetsuit so we would suggest seat covers or black plastic bin-liners. After the gorge walk you will need a towel to dry off.